For those of you who feel good enough to draw the design yourself, send us a quick message at the bottom of this page and we will send you the correct template for you to use. Please note that once you have sent us your design ideas, we will provide a paper drawing of the basic lines of your design with the base colors applied, all details (pinstripes, airbrushed shades, final colors) are left to our discretions and are NOT going to show-up on the paper drawing we will provide. If you feel the need for us to make a computer generated rendering of your design, we can provide this service for $130. If you feel like your helmet needs a specific color, we will be glad to offer it for you for an extra $60. To achieve that we will need the color code of the requested color. Because of mixing restrictions, we DO NOT guarantee the exact match of ANY color. We will try our best to match it as closely as possible. You can provide a helmet to us if you already have one. If you would like to purchase a helmet, you can contact us for a great selection of both Arai and BELL helmets and accessories. Once your helmet completed, it will be sent to you through Canada Post, if you require a faster courier (UPS, FEDEX, DHL), let us know. ALL shipping cost are going to be assumed by you, these can be costly across the border. 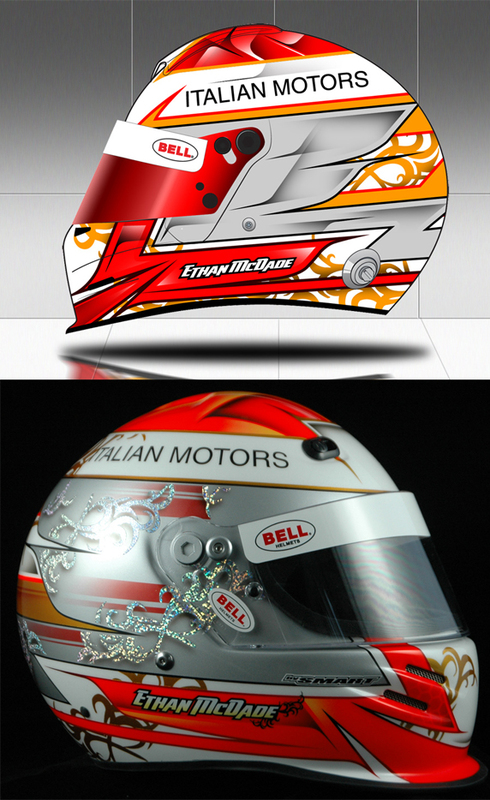 We do only high-end painting and we will produce a one-of-a-kind helmet you will be proud to wear. We have been doing it for 15 years and we know the value of our work. Please, DO NOT contact us for any special deals or racer’s price. We have one price and it is the right one for the kind of jobs we do. I could be painting your helmet in no time if you follow these proedure.